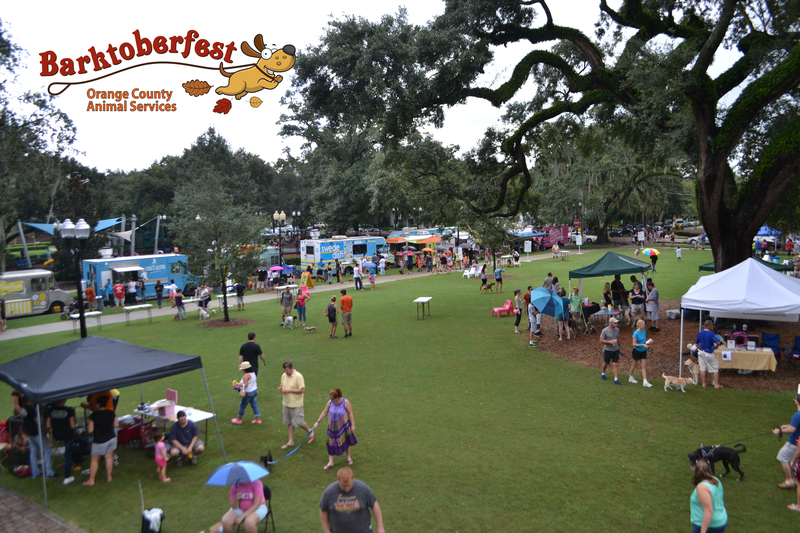 Orange County Animal Services (OCAS) invites all animal lovers to join them this Sunday, Nov. 19 for the shelter’s sixth annual Barktoberfest adoption event at Lake Eola between 12 p.m. and 4 p.m. The event, which is free to the public, brings local rescue partners, animals available for adoption, food trucks, vendors and families together for a fun-filled day geared toward helping local rescues match as many homeless pets with loving, forever homes just in time for Thanksgiving! This year, the event aims to not only help find adoptive homes for animals, but also raises funds to cover the expense of heartworm treatment for homeless pets, which can sometimes deter prospective adopters. With 20 local animal rescue organizations participating, there’s sure to be a furry friend for everyone, whether you are looking for a shelter mix, a tiny pup or a gentle giant. These animals come in all different shapes, sizes and even specialty breeds. The last Barktoberfest event facilitated more than 50 pet adoptions. Guests are invited to bring their own dog to join in the fun, just remember that all dogs need to be on a leash. OCAS is the county’s only open admission shelter, which means that it cannot turn away any animal. The shelter takes in an average of 55 animals every day, and as many as 100 during peak breeding season. Rescues help to manage the shelter population, so that OCAS can maintain a healthy environment and capacity to receive new animals each and every day. Learn more about Barktoberfest at www.ocfl.net/barktoberfest and be sure to click “attend” on Animal Services’ Facebook event page at www.facebook.com/orangecountyanimalservices.